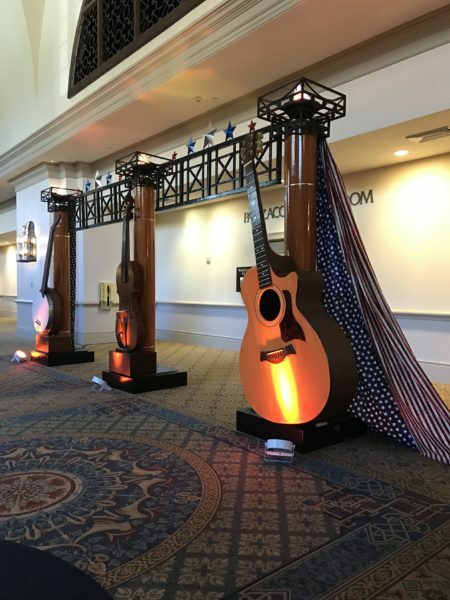 This years’ Annual Florida Hospital’s Medical Staff Dinner theme was Bluegrass, which incorporated a wide range of unique décor accompanied by live music and entertainment. 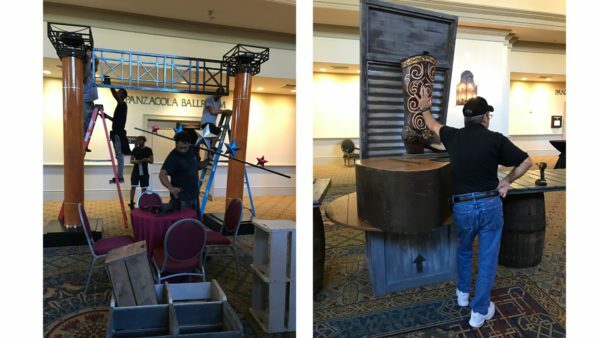 The MKE team had a lot of fun prepping for this event, from whiskey barrels, barn facades, to authentic musical instruments…we had it all! 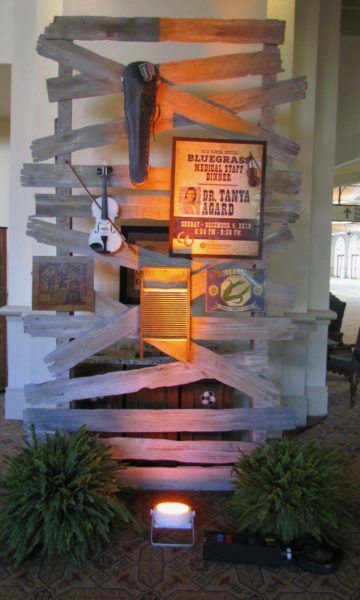 The foyer was lined with impressive faux-weathered Barn Board Wall perimeters sporting a collection of country music memorabilia and posters. 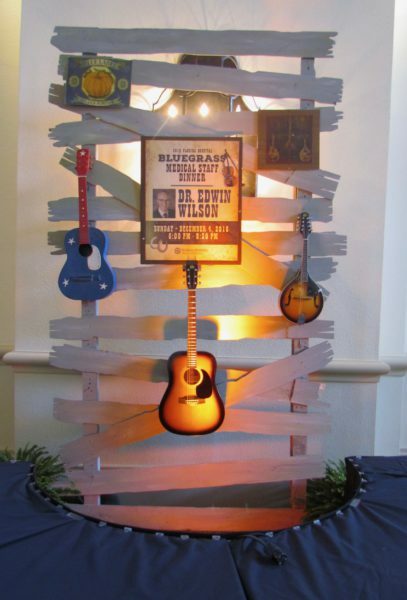 Custom bluegrass ‘concert’ posters were created with the representatives who were being honored that night. 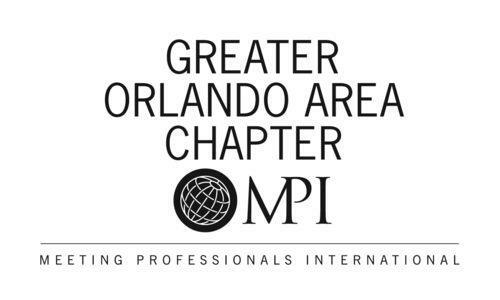 This was a great keep-sake for our client. 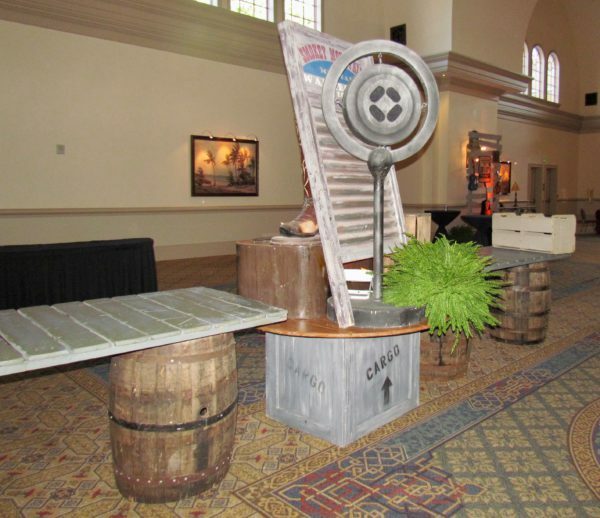 In the center of the room were our rustic plank Barrel Buffets featuring full sized whiskey barrels. 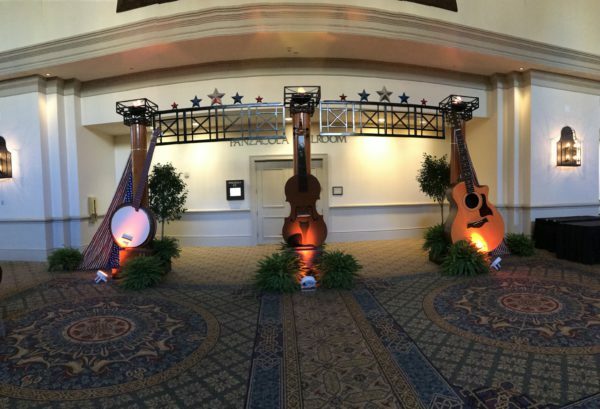 In the middle of each buffet station sat a larger-than life vignette of country music instruments and mementos. 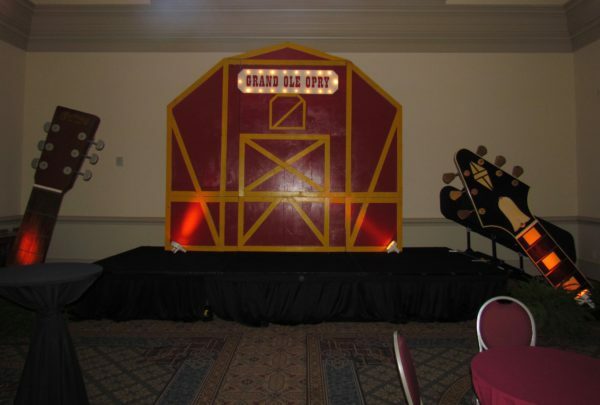 Our Grand Ole’ Opry Stage Set was used as a background for the Bluegrass band that was performing in the foyer. 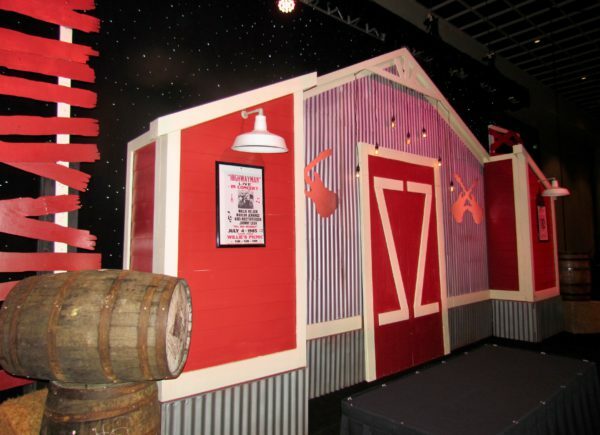 In the center of the red barn façade, was a bordered marquee light sign, featuring the original title font of ‘Grand Ole’ Opry”. 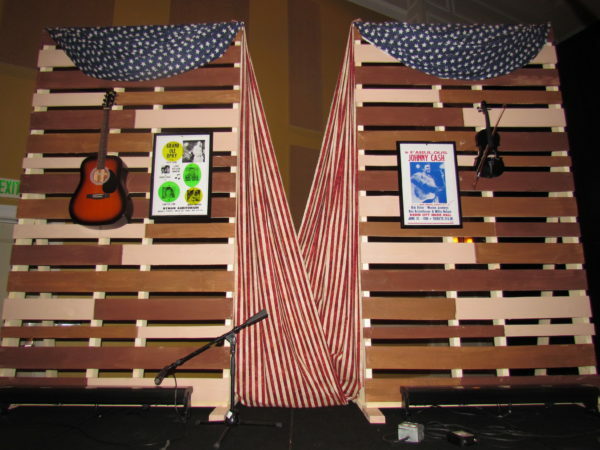 The stage was flanked with 9’ guitar necks of a Fender and Marten acoustic guitar, creating the ideal backdrop. 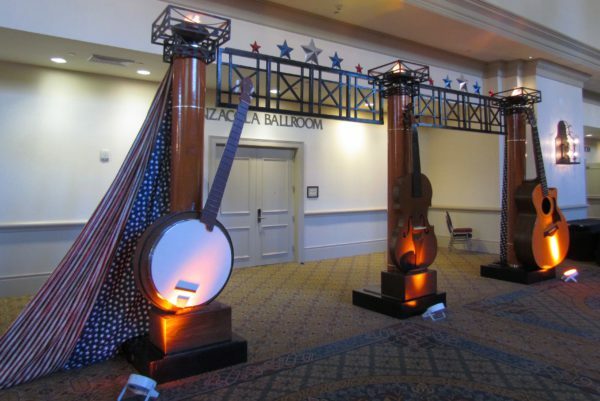 Placed at the main doors of the ballroom was our American Country Double Entry. Rich, honey wood columns were styled with red, white, and blue stars along the top. 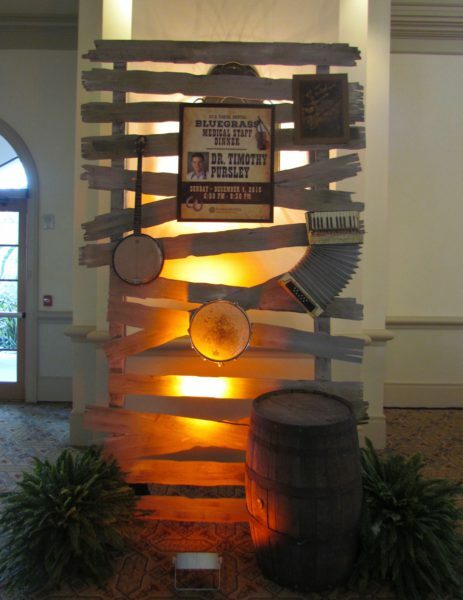 Each column was topped with faux flame fire effects and highlighted an oversized musical instrument. The entry was completed with drapes of stars and stripes fabric. 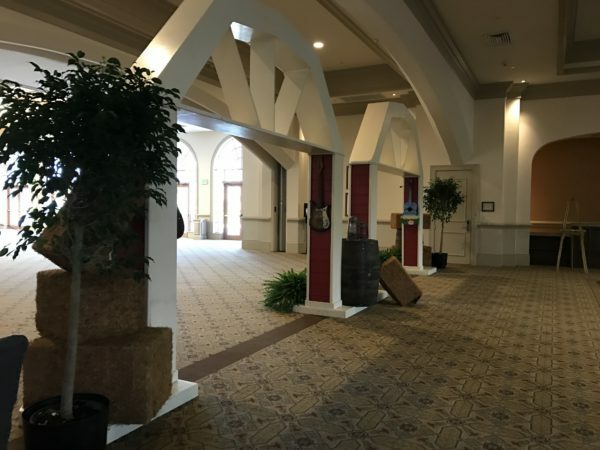 Elevated vintage Pallet Walls, a new addition to our inventory, were placed on opposing sides of the ballroom. 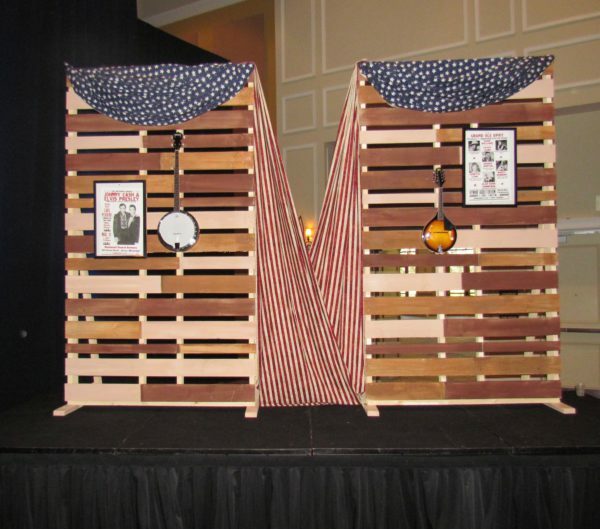 Reclaimed planks of freight pallets were decorated with the corresponding stars and stripes fabric. 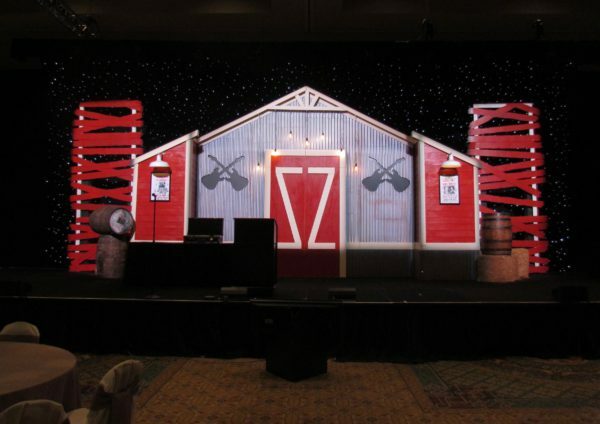 The focal point of the room was our Barn Stage Set. 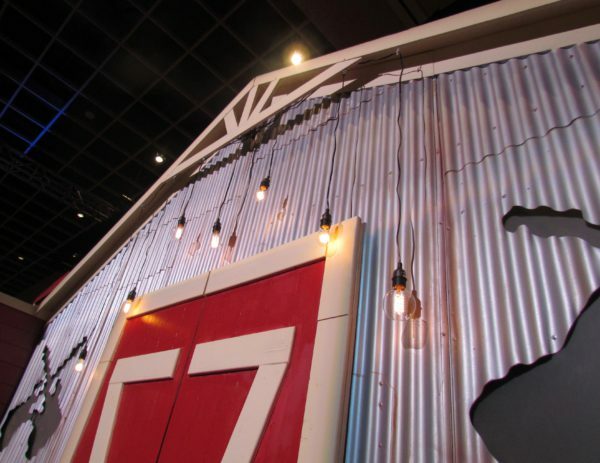 A combination of corrugated tin and barn style façade was peaked with a tin roof structure. The set was then accented with hanging Edison bulb lights and flanked with red barn board walls. 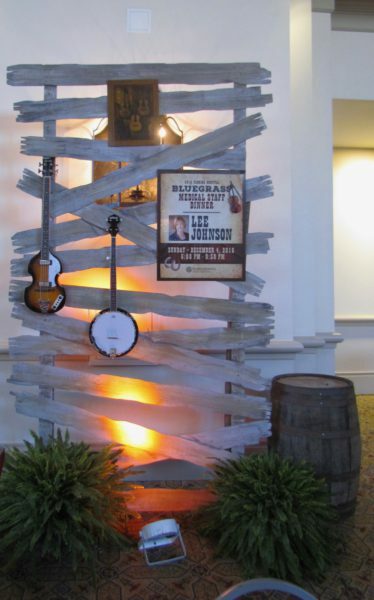 Crisscrossed guitar cut outs created a backlighting effect while warehouse style lamps hung from each side of the structure to complete the look. 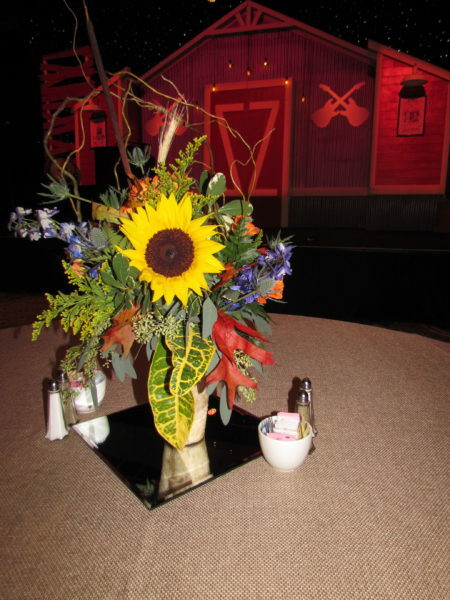 The MKE team looks forward to creating new and exciting concepts for Florida Hospital’s Medical Staff Dinner each year. 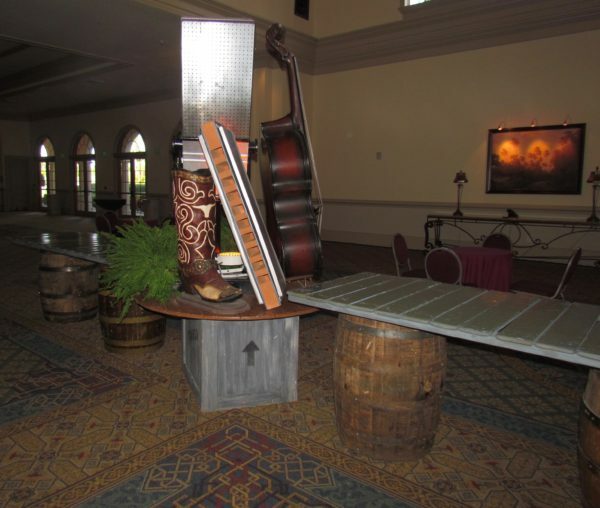 The distinctive décor pieces that were utilized designed an unforgettable Bluegrass ambiance that flowed throughout the entire venue.